Ang Lee’s TriStar Pictures film “Billy Lynn’s Long Halftime Walk” has a casting call out for extras in Atlanta. The movie is scheduled to begin filming this coming April and the productions extras casting directors with CL are seeking to fill a variety of paid roles. According to a Deadline report, the film will star Steve Martin, Joe Alwyn, and Garrett Hedlund. 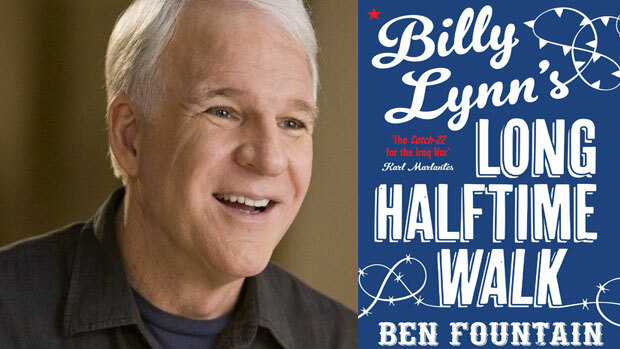 The Ang Lee directed film “Billy Lynn’s Long Halftime Walk” is based on a 2012 New York Times bestselling novel written by Ben Fountain. The story is mainly set on one day, the Dallas Cowboys football game during the Thanksgiving holiday. According to the books wiki page, the story follows a US military soldier named Billy Lynn who is part of Bravo Squad, fighting in Iraq. Lynn, a 19-year-old private survives an intense battle, “the Battle of Al-Ansakar Canal“, that happens to be captured by news cameras which catapult him and the other survivors into the limelight. Lynn and the team of soldiers are subsequently brought home by the U.S. government to go on a promotional tour to rally support for the war effort. The tour ends with an appearance at the Thanksgiving Day halftime show which includes a performance by the Beyoncé led group, Destiny’s Child. However, after the men are paraded around, they face an imminent return to the war. Almost the entire movie takes place during the day of the game, with flashes back to the underlying events and Billy’s heroism. If you live in the Atlanta area and have a flexible schedule, here’s a chance to be cast for a small role in a movie and make some extra cash. Please only apply if you are local to Atlanta or within a reasonable driving distance. Billy Lynn’s Long Halftime Walk, Directed by Ang Lee has a casting call for extras out. Men must be ok getting a high and tight hair cut. Hey I’m Ian. I am 24 years old and could be a perfect extra as football players in Billy Lynn’s Long Halftime Walk. I am interested in being an extra for “Billy Lynn’s Long Halftime Walk”. I am 17 years old, and I am a female, also Hispanic. I would like to know more. Please contact me if you can help me.